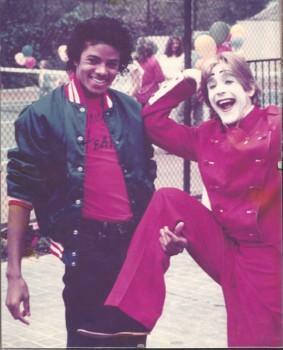 Entertainment Contractor owner J. as a mime performing for Michael Jackson in both of their early years. The seeds of the company were first planted in Los Angeles when a young struggling mime discovered he could get booked at events and make money doing what he loved best, which was entertaining. One booking led to another, and with great recognition, a breakthrough offer was proposed: Caesar’s Palace in Las Vegas asked him to provide a whole troupe of mimes to perform for the High Rollers. After the success of this one event, it became a regular occurrence at the hotel. Not only did they want to hire mimes, but they wanted magicians, jugglers, clowns, etc. Soon word spread to Los Angeles and The Entertainment Contractor was thus born! The Entertainment Contractor has now grown into a blossoming tree with many branches of services available for your party planning needs. We’ve scouted high and low for the best entertainers nationwide! Our artisans, entertainers, and staff are experienced professionals who have appeared in many film and television projects in addition to traveling internationally to appear at trade shows, conventions, and world fair/expos. Our performers go through an extensive auditioning and screening process to ensure you get the best entertainment to make your event a success. To date, we continue to enhance our services and provide first-class experiences for each and every event. We look forward to the next 30 years and hope you will join us!